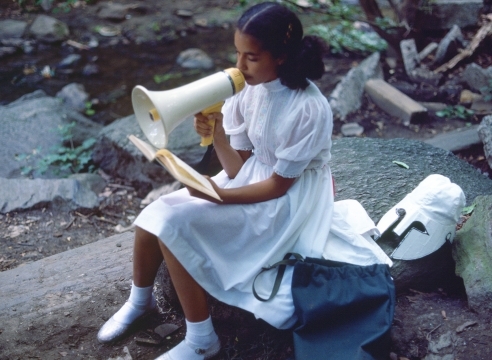 Alexander Gray Associates presented Lorraine O’Grady’s second exhibition with the Gallery, entitled New Worlds. 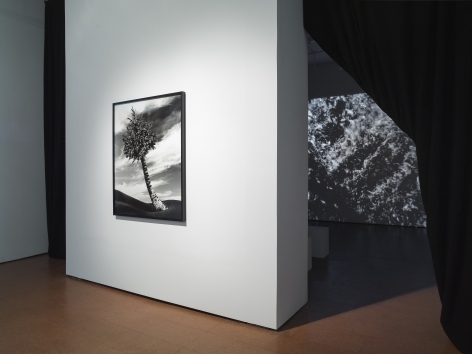 On view was the artist’s recent video work, Landscape (Western Hemisphere), 2011, in conversation with two photomontages from her iconic BodyGround series, conceived in 1991 and re-formatted in 2012. 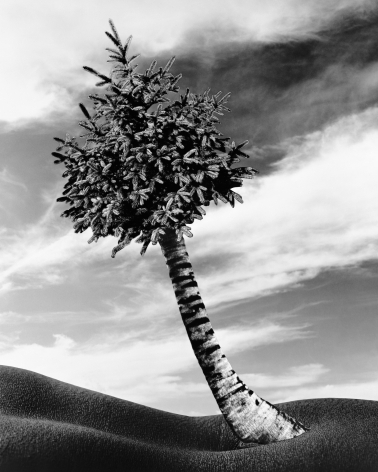 The Fir-Palm (1991/2012), a black-and-white photomontage, depicts a hybrid New England fir–Caribbean palm tree sprouting from a female torso, clouds looming in the background. With this legible symbolism, O’Grady—born and raised in Boston to Jamaican parents—questions the nature of desire, identity, and stability in a society rooted in physical, psychological, and cultural hybridity. 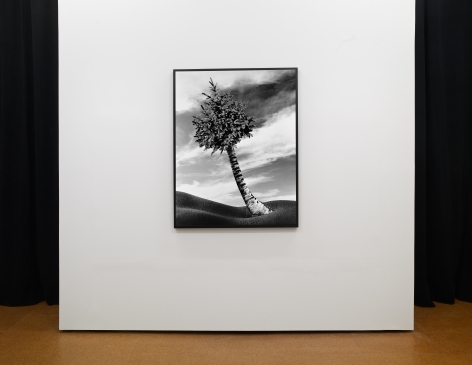 Where The Fir-Palm identifies a new Western landscape, O’Grady’s photo-diptych The Clearing confronts the old one through narrative. 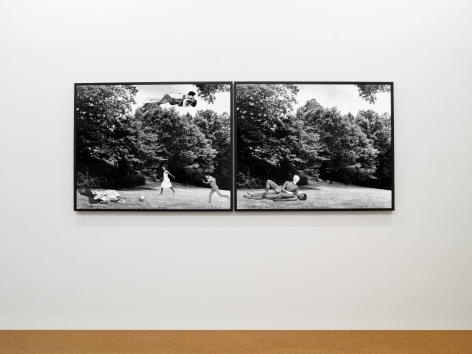 The left panel presents an image of an inter-racial couple, ecstatic and intertwined, floating in the sky. Two children play in the forest clearing below, a pile of clothing topped with a gun laying haphazardly nearby. In the right panel, the Black woman’s vacant body is stretched out on the grass, and her White partner is masked by a skull and draped in a chain-mail vest. No children are in sight. Through its subtitle—or Cortez and La Malinche, Thomas Jefferson and Sally Hemings, N. and Me—O’Grady reminds viewers that this most basic Colonial interaction, in all its pleasure, brutality, and complexity, paved the way for the Western hemisphere as it is known today. O’Grady’s amalgamation of the colonized body and landscape reaches its zenith in Landscape (Western Hemisphere), in which O’Grady’s own hair is transformed into landscape. 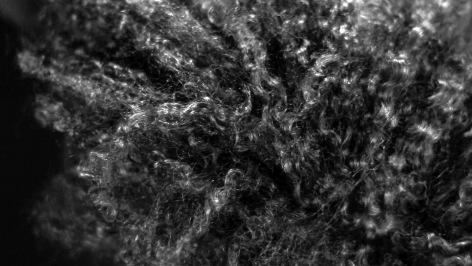 For the duration of the video’s 19 minutes, the artist’s hair waves, rustles, and bends to the wind, against a subtle audio collage of sounds from the hemisphere’s natural and urban landscapes. 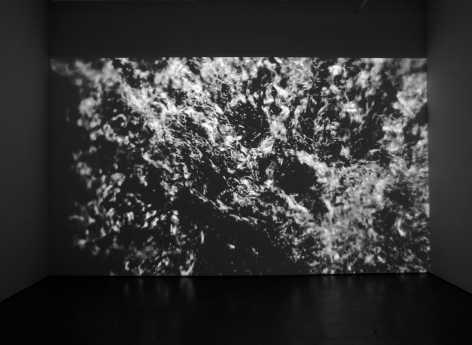 The video was funded in part by The Albright-Knox Gallery and Beyond/In Western New York.